This year, Apple has been very silent about the new iPad launch for 2014, but there are a lot of rumors and speculation going around the same and rumors are that it will be called Apple iPad Air 2. iPad Air 2 release is expected to happen in the fourth quarter of this year packed with waterproof feature. The waterproof feature was spearheaded by the Sony Xperia line and the new Samsung Galaxy S5 also boasts the said feature. However, this is the first time that Apple will make a waterproof device. Till now the Touch ID fingerprint scanner has been exclusive to the iPhone, But Apple is expected to bring it to the iPad Air 2 this year. GottaBeMobile reported that the next generation of Apple’s tablets will also pack a TouchID fingerprint sensor just like its brother – iPhone 5S. According to a Japanese website report, a reference was also found to the lineup of the iPad when checking code for the TouchID framework in iOS 7.1. 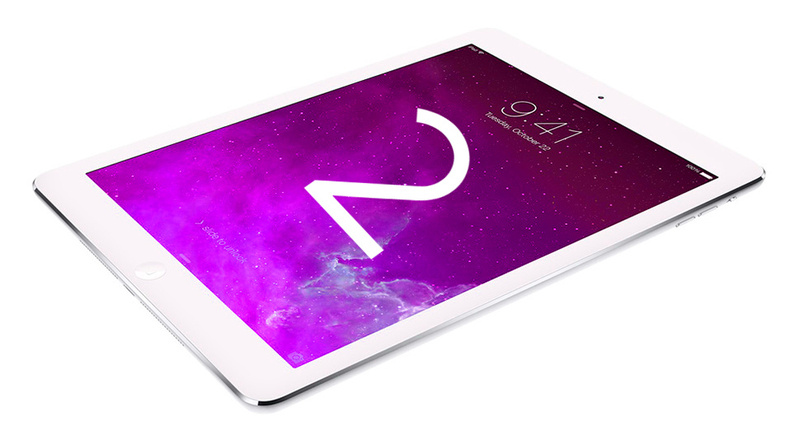 This had led to suggestions that the iPad Air 2 could have biometric scanning technology. This report said that the code for the Biometric Kit refers to the UI Device Family by way of two identifiers, number 1 is for the iPhone and number 2 is for the iPad. According to the KGI Securities Analyst Ming-Chi Kuo, who has been quite a reliable source based on her predictions in the past, both the updated iPad Air and Retina iPad Mini will come this year with the Touch ID features. “We think the upgraded iPad Air will be launched earlier in 2014 than the iPad Air was in 2013. The biggest changes will be A8 processor, Touch ID (fingerprint recognition), and main camera resolution of 8MP. We previously thought Apple would not release a new version of the iPad mini this year, but we now think Apple will launch an upgraded version with same form factor, A8 processor and Touch ID (fingerprint recognition) to boost shipments of iPad mini with Retina display.” She also added that, “We believe Apple plans to launch upgraded iPad Air early this year, and will accelerate development of 12.9″ iPad,”. An Apple Insider reported that, Advanced Semiconductor Engineering Group and Sharp Corporation (TYO:6753) will be responsible for the module itself while welding equipment is expected to be provided by Japan Unix through Taiwanese agent Sunnic. Though Apple has not officially confirmed anything on the features of the next-generation iPad models or even the existence of iPad Air 2, signs are already clearly pointing that they’ll be soon launched in the market.